by Élaine Audet, translated by Carol Card and Philippe Robert de Massy, with a foreword by Lee Lakeman. Sisyphe, coll. 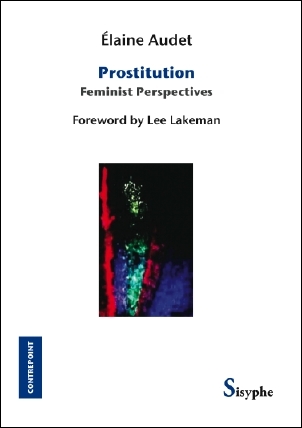 Contrepoint, Montreal, 2009, 136 p.
Élaine Audet, Prostitution - Feminist Perspectives, Éditions Sisyphe, Coll. Contrepoint, Montreal, 2009, 136 pages. Foreword : Lee Lakeman. 14$ postal charges included for Quebec only. ISBN : 978-2-923456-11-9. For some excerps of the book : The Prostitutors. it’s a very complicated and debeteble topic. especially nowadays, when more and more people are trying to accept this activity and even justify it, creating different organisations and units defending the rights of those engaged in this business. still, it’s hard to make a simple conclusion on what’s right and what’s not.